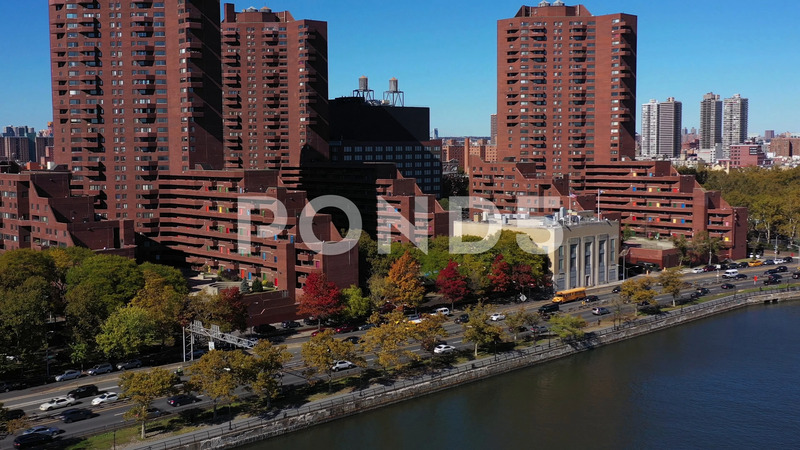 Description: Short upward drone view of FDR Drive and apartment highrise buildings in Harlem, Manhattan, NYC. In bright midday sun. in 4K.